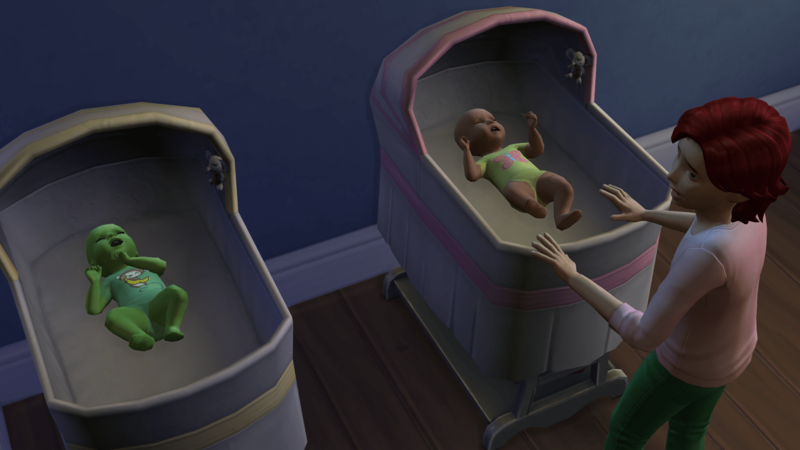 Generation Two is officially off and running. Theo does does what he can to find a wife. He makes friends with several local ladies and can’t progress with any of them. 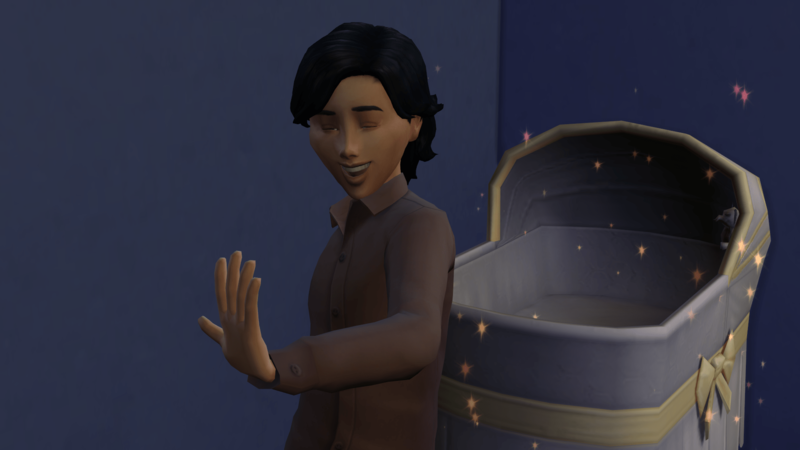 Partly because I am unsure how well neighborhood aging works so he decides to marry a simself. 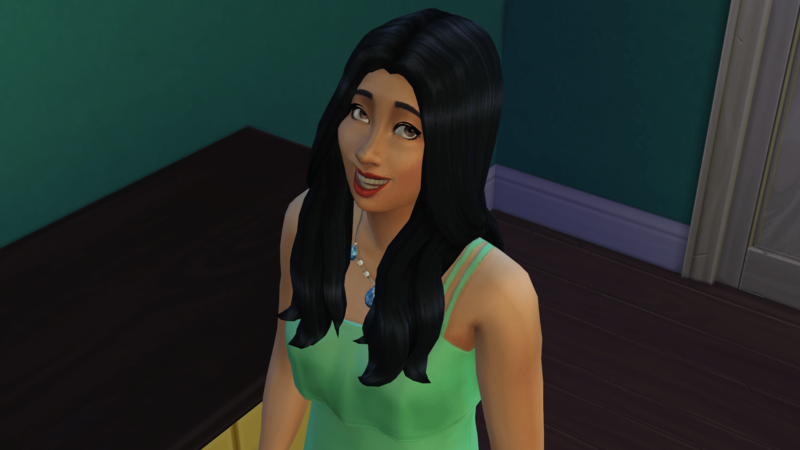 Rosanna is the lucky chosen one and is merged into the household. 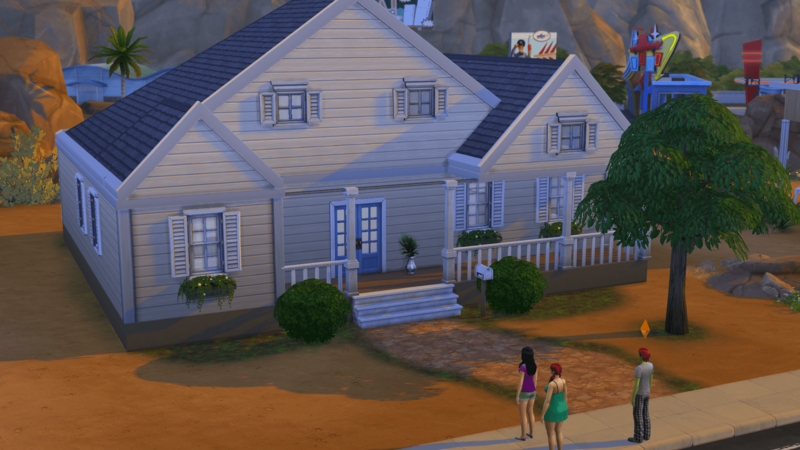 As they have a little bit of cash now that Theo is working, they upgrade the house slightly. They find a four bedroom, sparsely furnished in the gallery and make the switch. It takes several days for Theo to win over Rosanna. 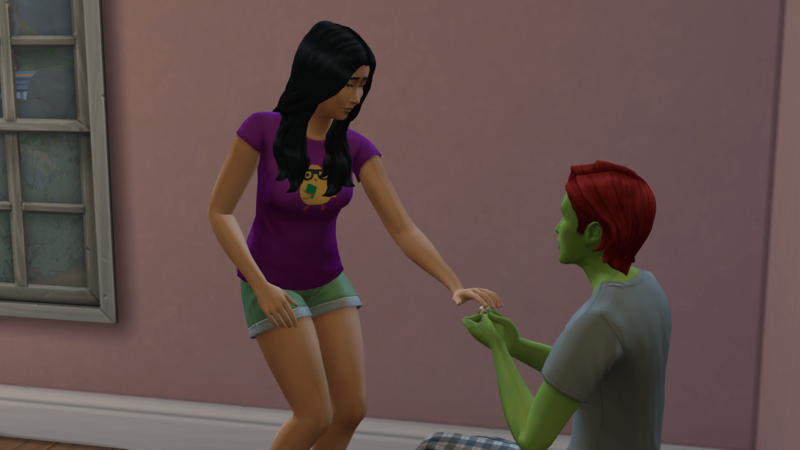 Once again there is a rejected proposal before she finally says yes. 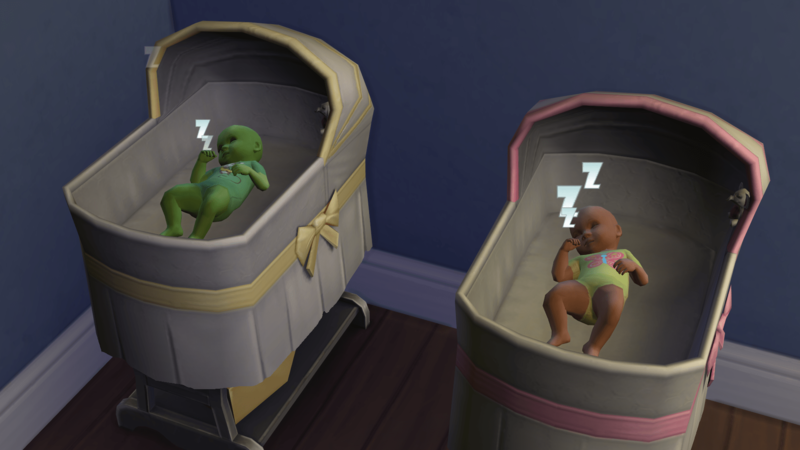 With the plan to have lots of babies this generation, Theo and Rosanna get down to business. 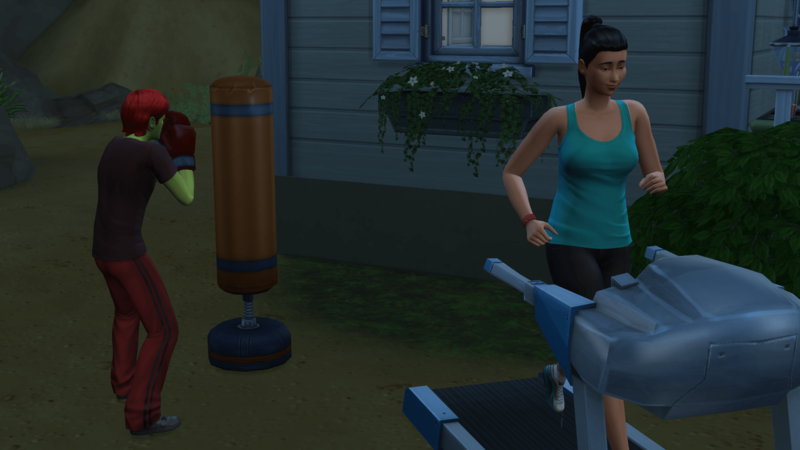 Rosanna heads out to the treadmill while Theo works out with the punching bag. 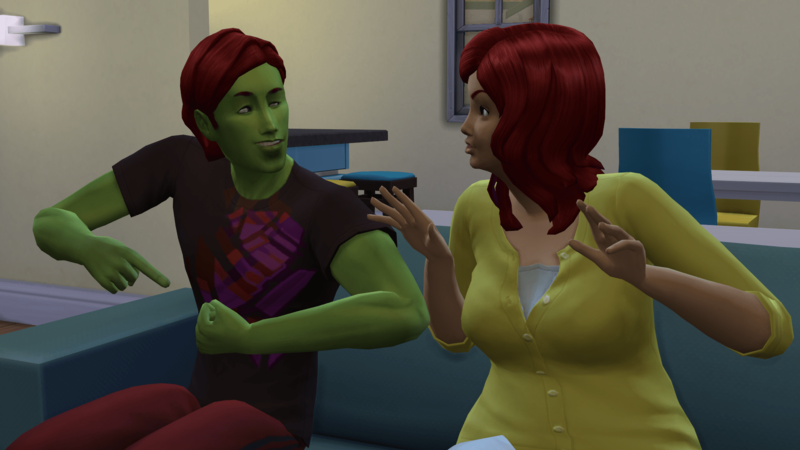 Theo shows his muscles off to Tabby. She is really impressed. 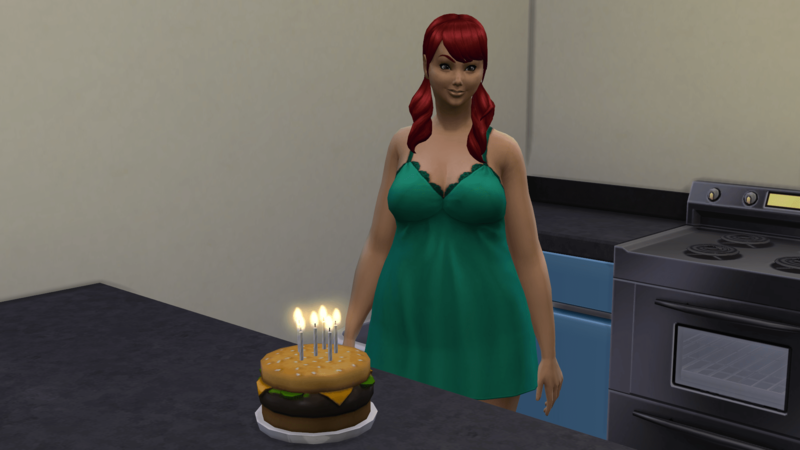 Tabby has her birthday and is moved out. Rosanna and Theo finally have the house to themselves. For a day or two anyways. 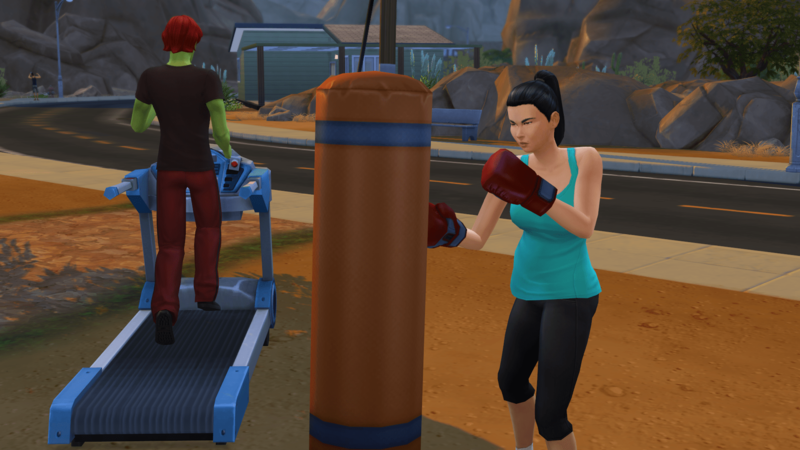 More workouts instead of working on career or aspiration needs. 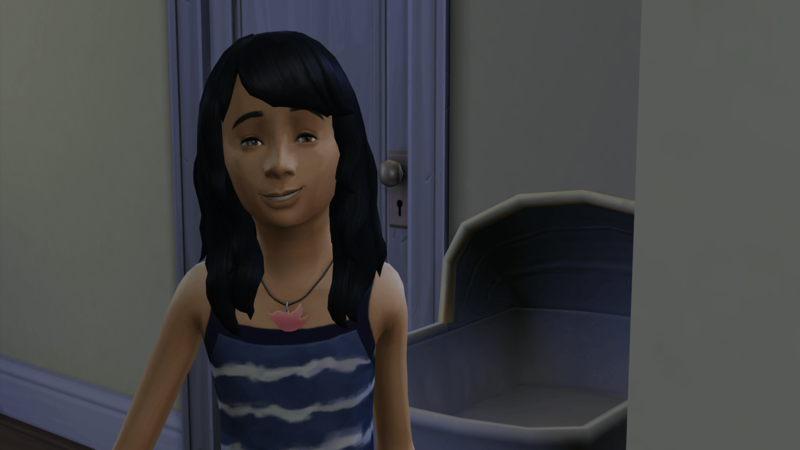 Baby number one, Quinn, is born. 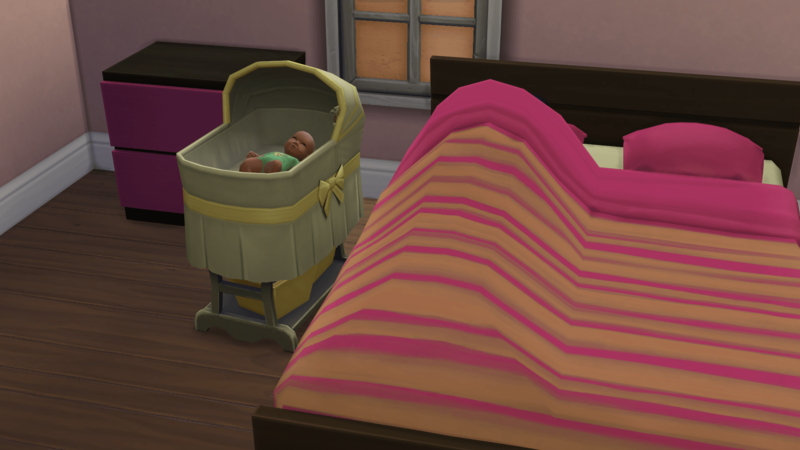 With the bassinet her, Rosanna went around to the other side and SLID over to go to sleep. 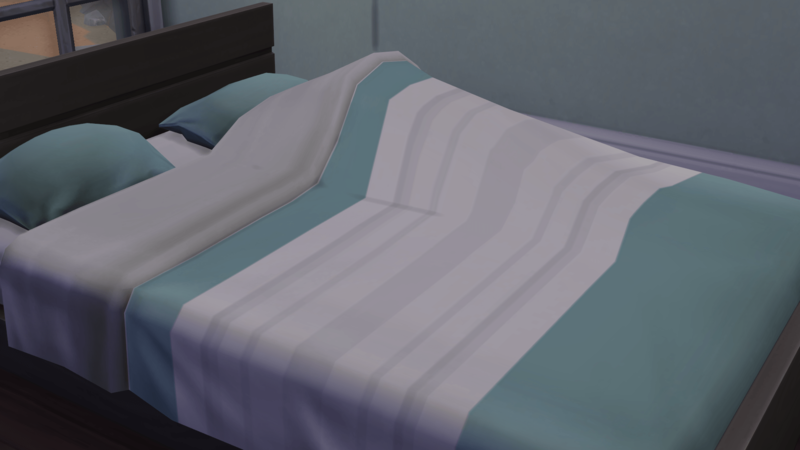 No longer do beds have to have access from both sides. 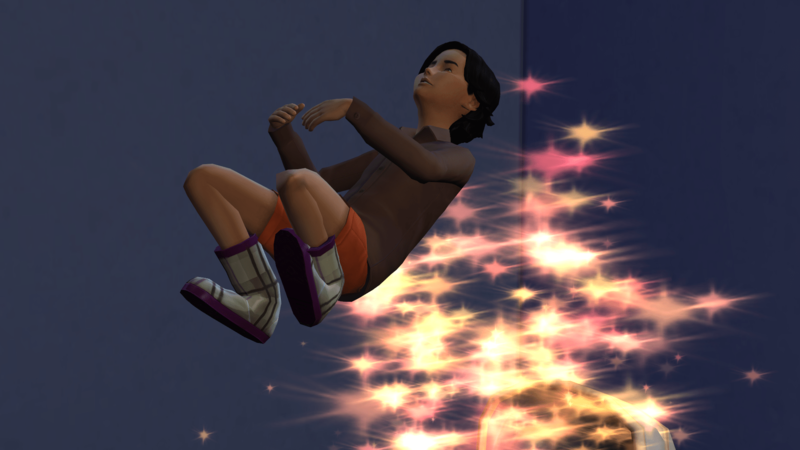 They can slide over! 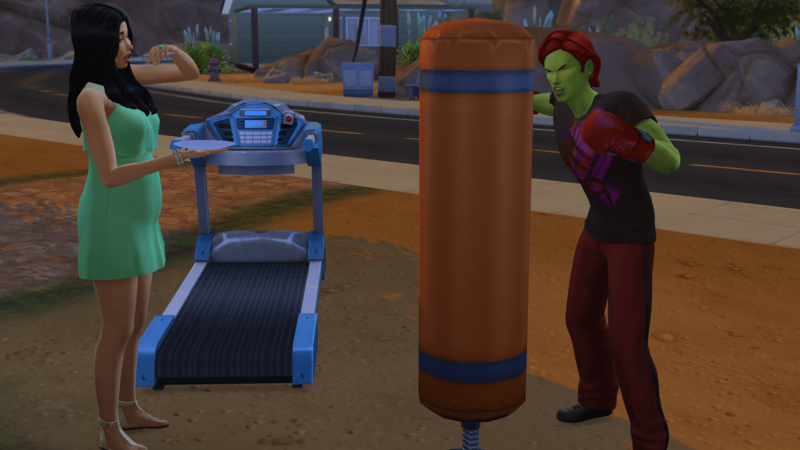 Rosanna has found a new pastime while Theo continues to work out. 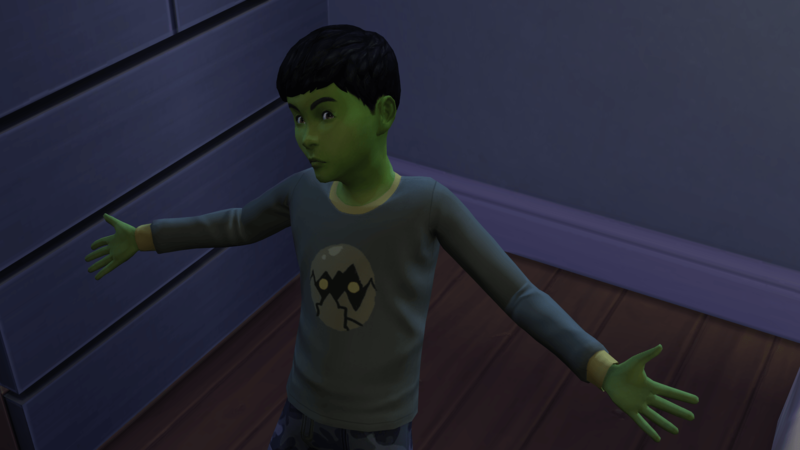 Quinn is pretty cute, although he should have been named Gus, as in Gloomy. He is sad all of the time and spends a lot of time under his covers crying it out. Twins! 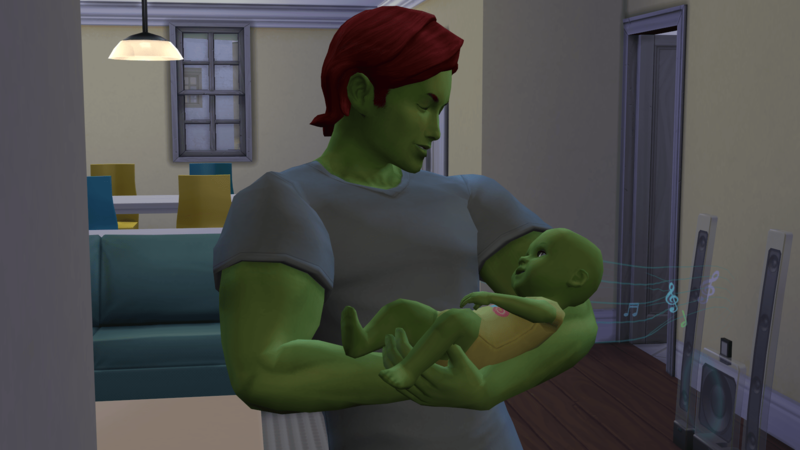 and we have our first green baby, a boy named Charlie. 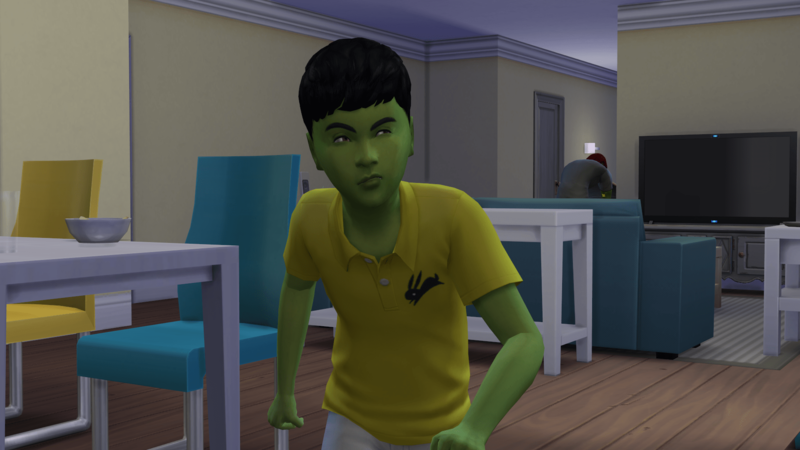 His sister is Ally. Quinn does what he can to calm the crying babies. A rare moment when both babies are asleep at the same time. 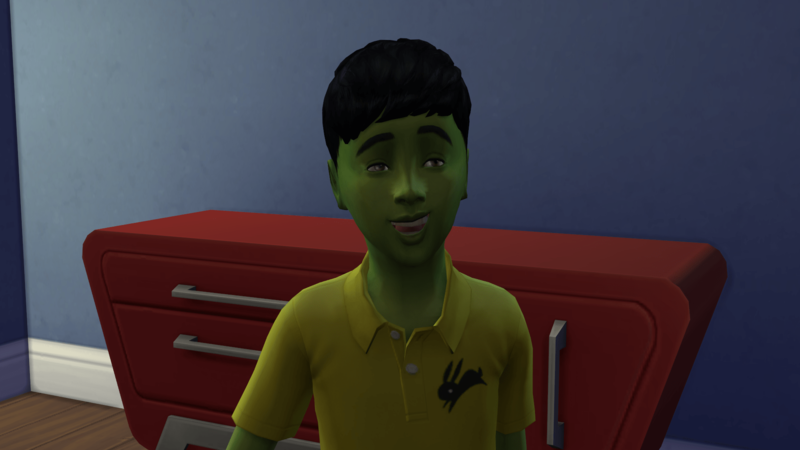 and Charlie, our heir potential baring the birth of a green skinned girl. 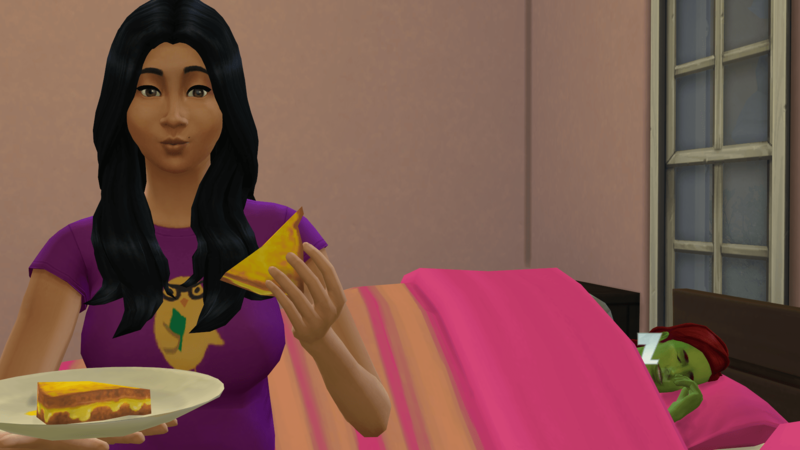 Rosanna is pregnant once again and this time enjoying a grilled cheese sandwich. 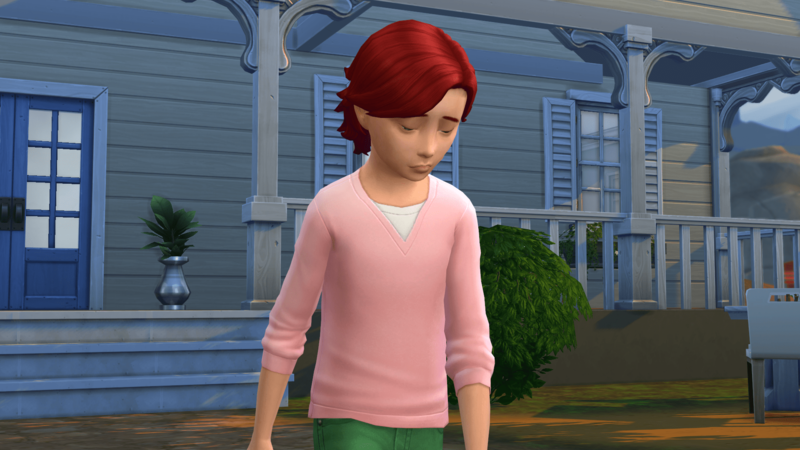 Not sure why Charlie is crying, it might have been a bad day at school, I just can’t remember. 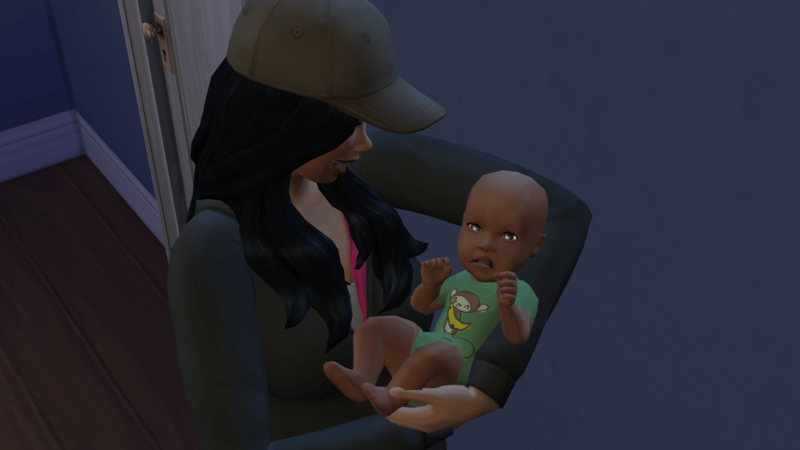 The fourth baby is Rick. 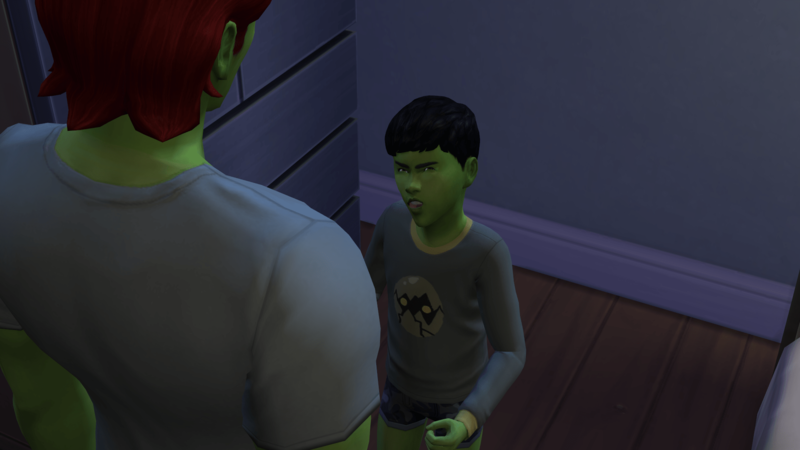 He doesn’t look happy at all. Finally captured on film is the growth process from infant to child. 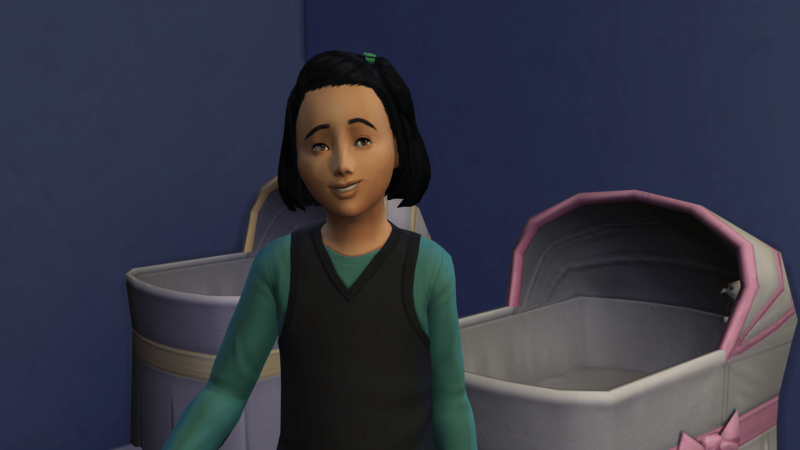 And moving on to baby number five, Pixie. All I want is a greenie girl. 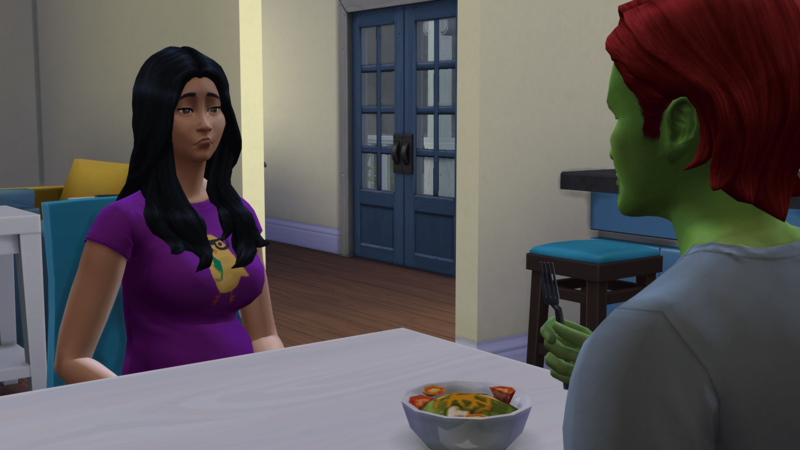 Pregnant with her sixth and final baby, Rosanna finds herself struggling. 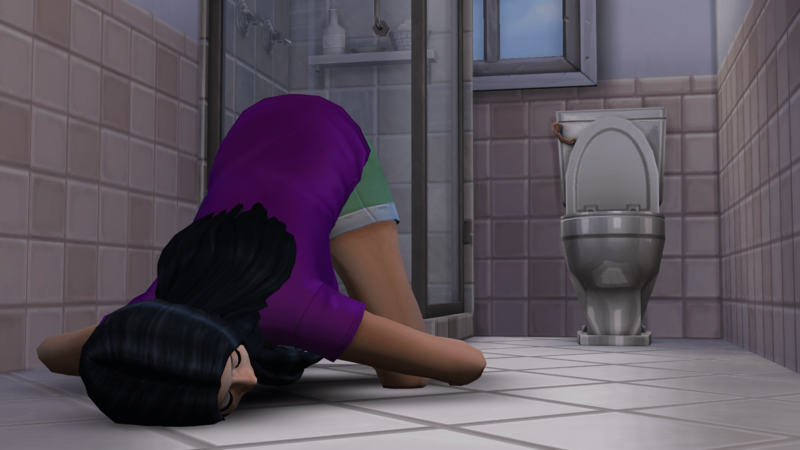 The bathroom floor isn’t that uncomfortable. A few spammy pictures of Pixie. 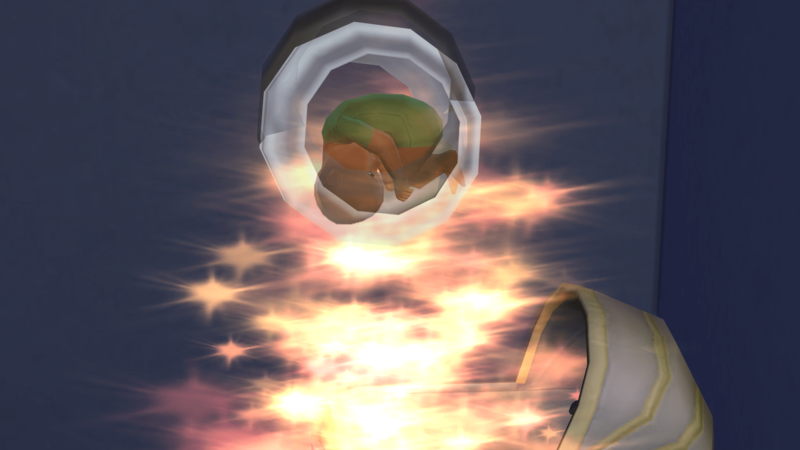 Pixie is a child, which means it is time for a baby to be born. 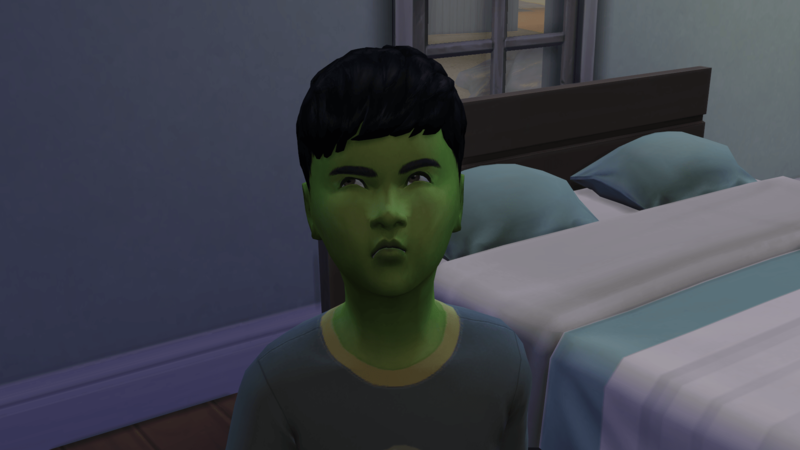 Out of the five children, Seera’s birth triggered two happy, one very sad (and yes he spent hours crying under his covers), and one angry sibling. Ally didn’t have a reaction one way or another. 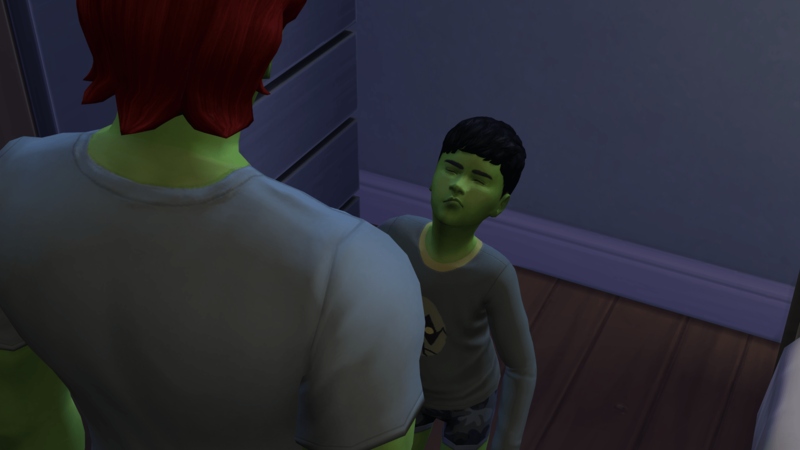 Charlie was not happy that he would no longer be the heir. Group shot as the kids wait for school to start.